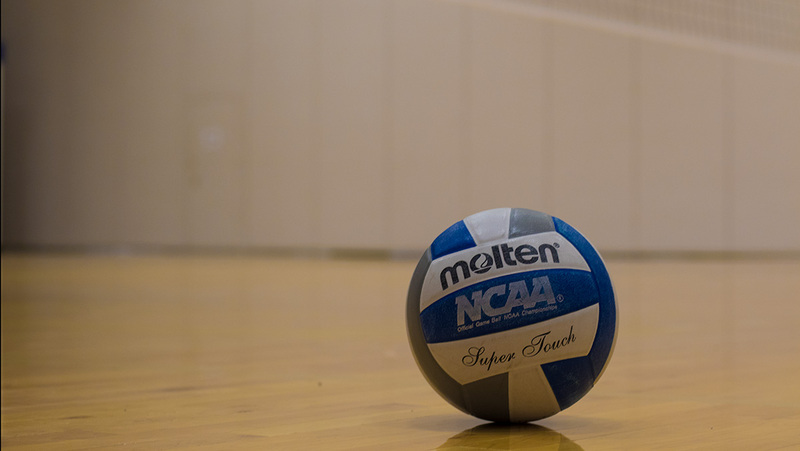 The Ithaca College women’s volleyball team travelled to Cortland to take on the Red Dragons on Sept. 26. The Bombers dominated the match and won 3–0. As the first set started, junior setter Caitlyn Floyd assisted freshman outside hitter Alison Lipton and sophomore outside hitter Reagan Stone as they took a two-point lead. Even though the two teams tied six times in the first set, the Bombers held the set. At 23–18, the Red Dragons took their second time out of the set. The Bombers won the set with sophomore middle hitter Katie Basey delivering the last point with a kill to win 25–19. In the second set, the Blue and Gold started out down 0–3. Not too long after, the South Hill squad tied the score 5–5. Stone served the ball four consecutive times, causing the Red Dragons to take a timeout. Soon after, the Bombers pulled ahead 18–8, and eventually won the set 25–14. With another quick start, the Bombers led by three points early in the final set. Not soon after though, the Red Dragons tied the game 10–10. Tied again at 16–16, the South Hill squad started to take control point by point. Sophomore setter Delaney Runyon served an ace and senior middle hitter Katie Evans killed for another point to extend the lead 19–16. Floyd served an ace for the final point 25–18. The Bombers will play next against Capital University at 1:30 p.m. Sept. 29 in Buffalo, New York.